To return an item please email [email protected] to get all the information on how to do so. If you have an issue with email please call 606-877-8242, have your order number ready. Note this line is for assistance with returns only. Camper Parts World values all of our customers and we take pride in our customer service. We understand that sometimes mistakes are made during a purchase and you may need to return, please review the Returns Policy below. Always, in order to prevent a return, please review the description and the part number carefully. If you have any questions before ordering do not hesitate to contact our sales team for help, we would love to help you! Return items must be returned within 15 days of the original purchase date in order to receive a refund. 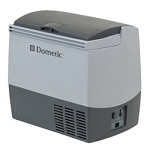 Dometic/Atwood items are non-returnable under any circumstance unless it is a situation concerning damage in shipping or the incorrect item was shipped to you. Returnable items must be in their original package and unopened. We are unable to authorize a return on any part that has been used or installed on an application due to risking damage to the part and it is non-refundable. All return requests are subject to approval, please review all terms and conditions for further information. Return instructions must be followed carefully, all instructions will be distributed via email, there may be a delay of 1-3 days for receiving return instructions due to having to receive authorization and instruction from the manufacturer for a return. We will be working diligently to get these instructions for you so you have all the accurate information before returning! If you receive and accept a damaged or incorrect product please notify us immediately, we will seek resolution accordingly. If you do receive and accept a damaged product, it is always helpful to take photos of the damage as soon as the delivery occurs, manufacturers require documentation from us noting the shipping damage. It is preferable, if you can refuse the shipment for obvious damage to do so, you can also note it with the shipping/freight company driver. If you do not contact our returns department within fifteen days after receiving damaged or incorrect product or you choose to proceed to install or use the product, we will not authorize a replacement or refund. Scratch and dent items, which are noted on the listing, are non-returnable items. Scratch and dent items come with the full manufacturer's warranty unless listed otherwise. If you refuse a damaged product please let us know immediately so we can seek resolution accordingly. There is a fifteen day return request window from the order date regarding your purchase, after fifteen days return requests will be denied. 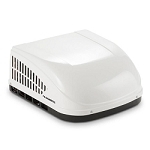 Any return request for a Dometic/Atwood product will be denied. If an order is refused without good reason a 15% restocking fee will apply as well as shipping charges deducted from refund. To avoid the return process all together, when purchasing do not order solely based on the picture of a part, most photos are stock images. Review the description and part number very carefully. As always, if you have questions before purchasing a part please do not hesitate to contact our sales team! If your return request is approved you will be responsible for shipping charges back to the warehouse address provided in instruction. Every return is inspected thoroughly and checked into inventory before a refund is released. All returns must have an RMA attached to the shipping label, any return without an RMA will be refused, this is very important. You can always ask the shipping company you choose to ship back a return with to list the RMA on the shipping label for you. Please keep a copy of tracking and RMA information in regards to your return. We do not authorize exchanges of product in any circumstance. Special order items, appliances, electrical, and any other non-stocking product will be denied a return request. Please allow 4-5 weeks for your return process to be completed for refund. All cancellations are subject to a 6% cancellation fee. After an order is placed "in process" no changes or cancellation can be made, once it is in process it is being prepared for shipping and we cannot alter the order in any way. We do not accept or authorize returns on damaged items that has occurred from customer use or installation or from shipping methods. If the merchandise arrives damaged from shipping notify us immediately before signing for the item. Any theft done to our company involving a stopped payment or dispute will result in being sent to a collections agency, in which you will be responsible for paying for your items as well as an additional 12 percent processing fee for collections. For any warranty issues or questions you must contact the manufacturer of the product that you purchased, if you are unsure of the manufacturer of the part please ask us and we will point you in the right direction.